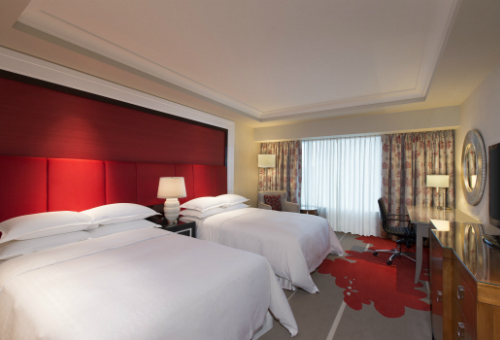 Step into our welcoming Deluxe Rooms and discover distinctive design details incorporating warm red hues and plush carpeting. 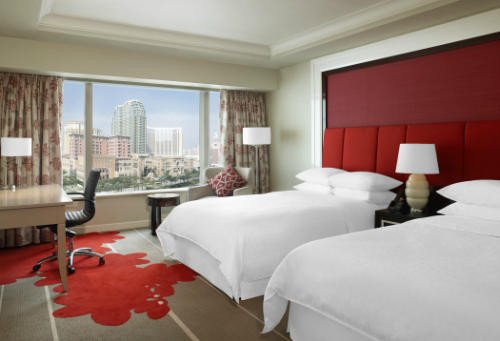 Select between King bed and Twin bed with views of our picturesque pool or the city. You’ll never tire of this view! Marvel at the vast, diverse and extravagant architecture of the resort complexes lining the bustling Cotai Strip by day, and be captivated by the glittering lights and enchanting atmosphere by night. Ahhh – now this is living! 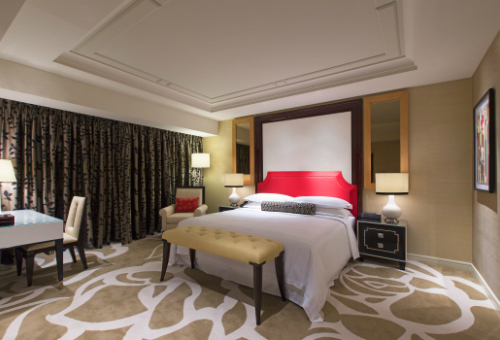 You’ll instantly be hit with the feeling of calm as you step inside Sheraton Grand Macao Hotel’s Club Rooms. Plenty of space, entertainment and kid-focused amenities make Family Suites the perfect family home away from home. 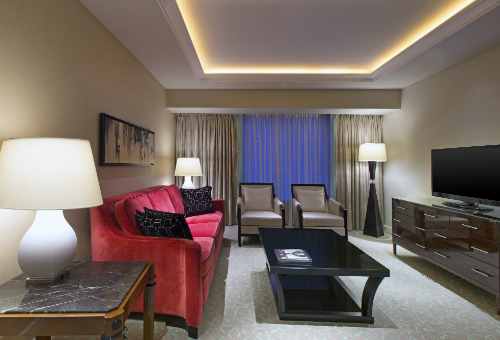 Keep connected in Sheraton Grand Macao Hotel’s Deluxe Suites. 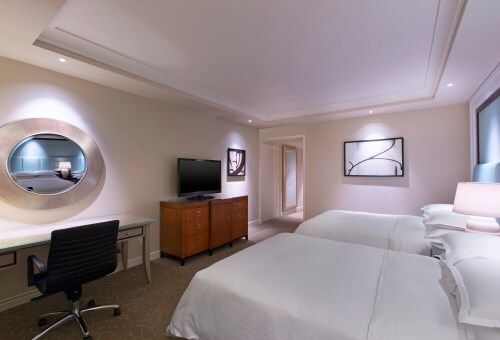 Complete with a separate living room, a guest powder room, and state-of-the-art technology, Deluxe Suites make hosting easy and have the benefit of an additional media room. 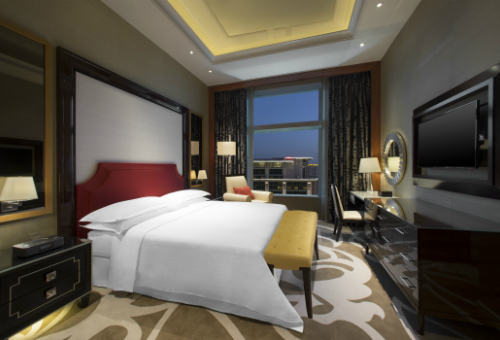 The perfect balance between private spaces to relax in and room to socialize is what characterizes Sheraton Grand Macao Hotel’s Executive Suites, making them an ideal choice for those visiting Macao for business, or couples wanting to treat themselves to a little extra luxury. 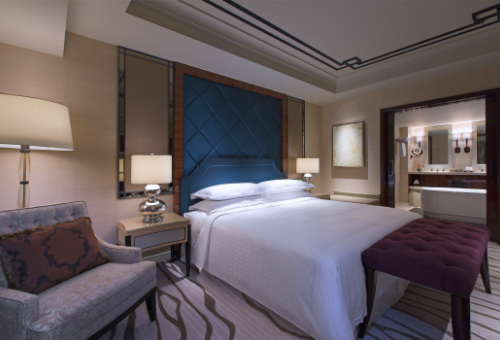 A Deluxe Suite of even grander proportions, ensconce yourself in this lavish space-filled haven with towering ceilings and sweeping high-up views of the buzzing Cotai Strip and far beyond. Step into a world where interior and exterior meet in the most dramatic and elegant fashion. 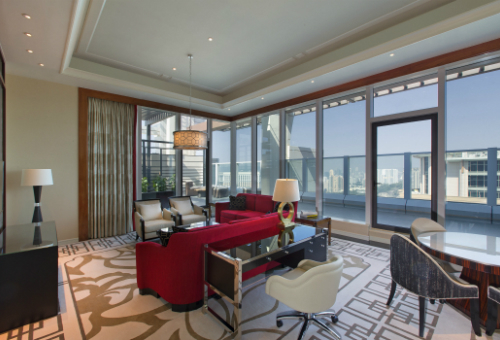 Situated on the top floor of our lofty Sky Tower, our new Terrace Suite is the unrivalled choice for those who want to experience the magnificence of the Cotai Strip, from both inside and out. 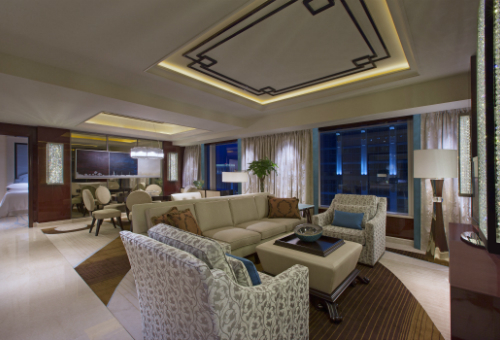 From the moment you set foot inside the five-star Sheraton Grand Macao Hotel’s Ambassador Suites, you’ll know you’ve struck gold. Yes, there is some super chic gold detailing, but there’s so much more to love about this indulgent space. Designed to impress even the most discerning guests, enjoy luxurious special details, vast entertainment options and lavish accommodation.